Every year successful real estate investors modify their approach based on new market trends and location-specific data. The strategies that produced great results a few years may need to be adjusted for better results in 2019. To gain a competitive advantage over other real estate investors, you need to obtain fresh information and learn from experts. While real estate is still one of the best investments in USA, you should work to make the best choices. Here are some tips that will help you to make smart real estate investment choices in 2019. The best way to start a successful year of real estate investment is to understand your market. You need to invest your time first to study the market data before you invest any new property. The data you gather will reveal trends and show you real opportunities for high returns. Investing about two hours daily to understand your market will equip you for effective decision making. You will become an expert on neighborhood and city trends, construction costs, interest rates and market needs. If you are planning to buy and sell homes, focus more on the first-time home buyer. Existing homeowners usually have to grapple with higher interest rates. But first-time buyers can enjoy government rebates and special grants that encourage them to become homeowners. Some lenders also offer first-time buyers home loans that are higher than 80 percent of the property’s selling price, as long as they pay for lenders’ mortgage insurance and they have a stellar credit history. However, this privilege is not exclusively reserved for first-time buyers. Thanks to free online tools, as an investor, you can also work out how much you can borrow, depending on the property’s purchase price and your initial deposit. It is always useful to find out what a property may be worth a certain number of years from the day you buy it. For example, if you are considering a rental property, and its rental income is barely profitable, you may still buy it if you can sell it for a good profit in future. To calculate the future value of any property in your rental portfolio, you need to know the projected growth rate. This rate varies between 3 to 5 percent. Then you can use an online calculator to determine the potential future value of your proposed investment. You need to make every effort to have a sizeable financial reserve in a different bank account. This money will come in handy when you have unexpected maintenance issues or when a tenant suddenly leaves your rental property vacant. Your cash reserves could also serve as funds for buying an investment property when prices fall, offering you an opportunity to buy high-end properties at a relatively low price. If you notice that the market is cooling off, you don’t have to fold your hands and avoid investing. Look out for opportunities that spring up within your zone. If property values decline slightly, rents will still be strong. So you can buy a good rental property or apartment complex for sale, hold it for some time, till its value appreciates, and then you can sell it at a profitable price. Traditionally, flipping properties looks like an easy way to earn good returns in the real estate industry. But times are changing. Younger generations are spending more time occupying rented apartments. So it may be more profitable for you to invest in rental properties in areas with relatively high demand, rather than to buy houses simply to flip them when there’s a slight appreciation in value. If you take the time to evaluate the growth potential in the neighborhood and you only accept qualified tenants, you are more likely to enjoy a steady stream of income from that property. In addition to the regular direct income, you will also gain from the increase in market value. If there’s a new influx of people into the area and your property is well-maintained, you could also enjoy a steady rise in property value. 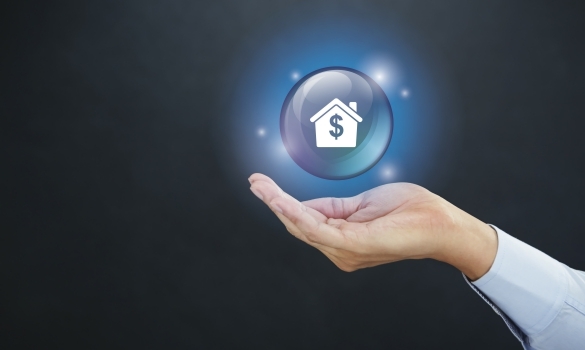 Paying attention to the fundamentals is still vital in real estate investment in 2019. But you need to pay close attention to data and trends in your preferred area. So take time to learn all you can about your city and create a plan for your financial reserves, cash flow, investment and marketing for the new year.